If you take your home entertainment seriously, the Shield TV is a product that’s seriously worth considering despite the shortcomings. 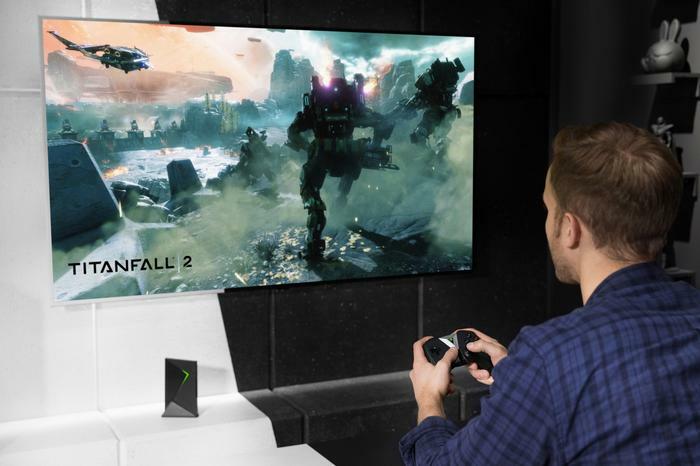 Though long-overdue, the arrival of Nvidia's Shield TV feels like it has real potential to shake up the Australian streaming space. Sure, it’s not the first to scratch this particular consumer itch. The Telstra TV and Foxtel Now have gained plenty of traction and popularity over the last few years. Regardless, none of these options tout the same pedigree when it comes to gaming that the Shield TV does. Nor do they have the same amount of polish. Overseas, Nvidia have been selling and refining the Shield TV experience since 2015. The product they’re bringing to Australia feels leaps and bounds ahead of the competition - because it is. To the eye, the Shield TV looks more like a miniaturized console than yet another streaming box. It’s a small, angular unit with a big glowing V on the side. Underneath those neon-aesthetics, the Nvidia Shield TV runs on Android TV. This means that setup is about as straightforward as these things come. You plug it in via HDMI, connect it to the internet, download any necessary updates and apps and you’re ready to go. As far as TV interfaces go, the grid-based layout here is immediately usable and appealing. 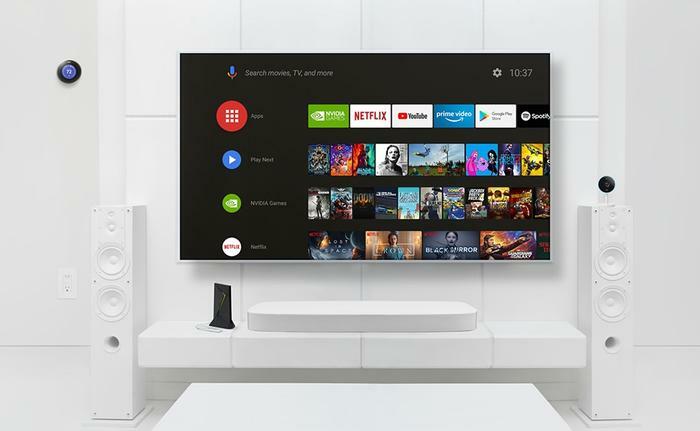 Even compared to other Android TV solutions, it looks cleaner and sharper than the all the rest. It's also very easy to customize. Dragging and dropping on a smart TV has never been this easy. Better still, these visuals are well rounded out by suitably snappy performance. There's also a wide-array of app support. Out of the box, the Shield TV supports Youtube, Netflix, Google Movies, Spotify, Plex, Twitch, Amazon Prime Video and Stan. Unfortunately, the local offering is a little more limited. The Shield TV currently supports 7Plus and tenplay - but not iView, 9Now and SBS On Demand. This might change over time. But at the moment, it's a definite weakness. Another clear weakness here is the deep-search functionality. To be clear, it's actually quite good - but much more limited than it first appears to be. 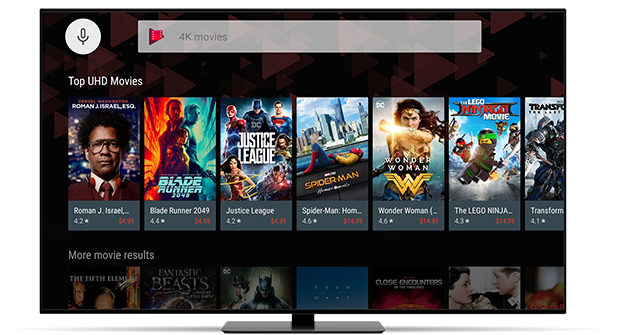 There’s a spot on the Shield TV’s home screen that allows you to jump back into recently watched content. But it only pulls from select sources and services - undercutting any real value. The more streaming services I added, the less I found actually supported this feature. The Shield TV did a good job of pulling in content from Netflix and Youtube. Unfortunately, anything beyond that is a bit of a crapshoot. I'd often ask to show me TV series that are available on Amazon Prime Video. In response, it would often direct me to instead buy them on the Google Movies Store. I understand that this might not be something that Nvidia has complete control over. But, again, it does undercut the appeal of the feature to a noticeable degree. 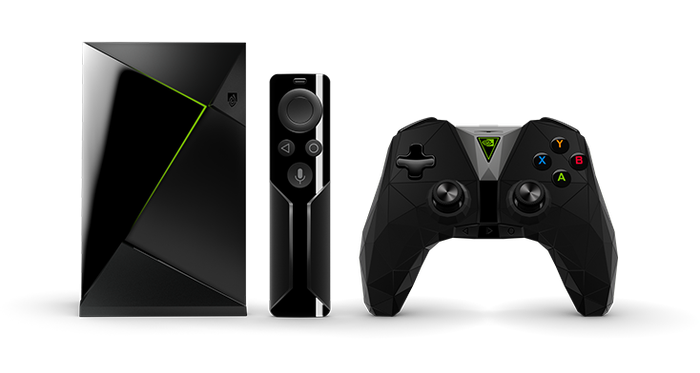 The streamlined remote available for the Nvidia Shield TV is another part of the package that merits mention. If there’s any part of the Shield TV experience that I wish I could take and use with my TV otherwise, it’s this. With a minimalist streak that manifests in all the right ways, the feel-factor here comes across as super-slick. You’ve got a D-pad for navigating menus plus a home and back button for everything else. Then there's a touch-sensitive volume slider that rounds things out in style. I'd be lying if I said that discovering how it works for the first time wasn't honestly a little magical. As mentioned, gaming is one of the key edges this has over a Telstra TV or Foxtel Now. To this end, there’s a more expensive variant of the Shield TV available. The reason it's more expensive? The Shield TV controller. A slimmer, more-angular take on the Xbox One controller, it's been specifically designed for playing games on the Shield TV. Read more What does it take to be G-SYNC compatible? What games can you play on the Shield TV? Well, there's quite a few options on the table here. The first way is through Nvidia’s GeForce Now platform. At the moment, this allows you to stream gaming experiences from an Nvidia-powered PC to the Shield TV over Wi-Fi. In the future, you’ll actually be able to do this without a PC at all - by relying on Nvidia’s own servers. However, for the now, the latter comes disabled. This is a shame. But given the patchwork state of Australia’s national broadband network - it’s hard to say how much of a loss it really is. The Nvidia Shield TV is also capable of playing games downloaded from the Android store. For various reasons, it doesn't support every Android game out there. However, those it does run tended to run incredibly smoothly. This isn’t a huge surprise - the Shield TV uses the same NVIDIA Tegra X1 processor found in the Nintendo Switch. Spec-wise, it’s a significant step up from what other streaming TV boxes have to offer. And the difference in firepower is definitely felt. Read more What is G-SYNC Ultimate? Menus load lighting fast and jumping in and out of different services is never any less responsive than you’d want it to be. The Shield TV leaves the other streaming box options in the dust when it comes to performance. It rarely hangs and it never crashed during our time with it. 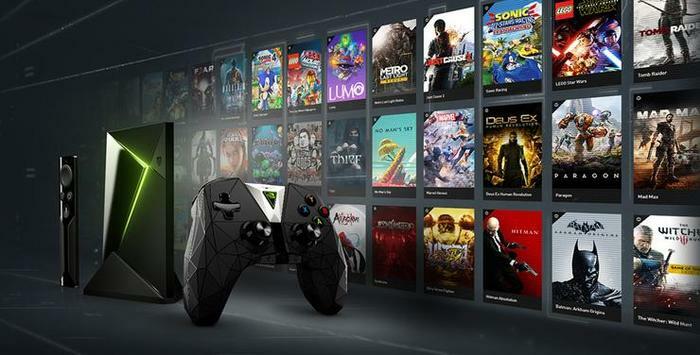 Nvidia have also made several PC games exclusively available for the Shield TV via the Google Play store. This includes older stuff like Borderlands and The Witness, which is pretty neat. It also covers a LOT of the Telltale Games catalogue - albeit in a very muddy, down-rezzed format. Messing around with Batman: The Evil Within and The Wolf Among Us, we came away a little mixed on the experience. To the Shield's credit, both games ran at a very smooth frame-rate. Unfortunately, the character models and environment looked blurry enough to sully the experience. At least for us. Your mileage may vary. Despite its strengths though, the lack of proper cloud gaming services here feels like a missing link. A conspicuous omission in the larger line-up of what the Shield TV has to offer. 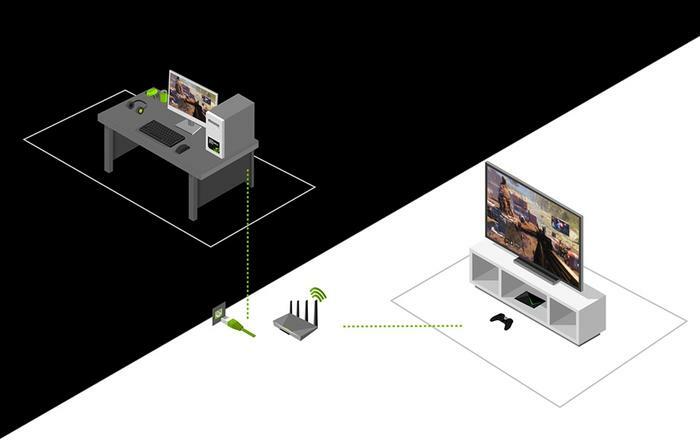 Still, if you’ve got a PC with an Nvidia Graphics card in it, you can stream PC games straight to your living room. In both idea and execution, this ends up being pretty similar to Valve's Steam Link accessory. When demonstrated to me in the confines of a hotel room, the level of latency was manageable. Unfortunately, set up in the confines of my own home, I found it severely lacking. Depending on your own home network setup and choice of games, I could see it being a more compelling feature - but only really in the best of circumstances. Attempting to play games where precise timing is required (Overwatch, Dishonored 2 and Dragonball FighterZ) proved frustrating and sometimes even nauseating. If there’s any specific area I felt like the Shield TV let me down, it’s the voice integration. Accuracy was sometimes a little hit and miss. Worse still, I often found myself running head-first into the limits of what the Assistant on the Shield TV can actually comprehend. Hopefully this aspect of the device gets a touching up sooner rather than later. As I said before, the Nvidia Shield TV feels leaps and bounds ahead of the local competition. But it’s by no means a perfect product. For all its might and for all its charms, I still struggle with the notion of putting it at the center of my living room. Don’t get me wrong, the graphical grunt and elegant design choices here are really appealing. And they succeed in helping the Shield TV justify a price-point that’s higher than the competition. As a product, this thing is very appealing to me. Unfortunately, the various shortcomings make it difficult for it to live up to its positioning as a be-all-end-all solution. The Nvidia Shield TV sets out to cover more bases than any of the other options do and comes away with far more hits under its belt as a result. But, it also comes away with almost just as many misses - which makes me reticent to recommend it to more everyday users.